Fossil fuels may still dominate the energy landscape but all the evidence is that their dirty, malodorous days are numbered. With around half of global R&D in the sector now devoted to developing low carbon alternatives like solar and wind energy, and big polluters like China pledging to become low carbon leaders, a major global transition is underway. Here the signs are good for business opportunities in the low carbon future. 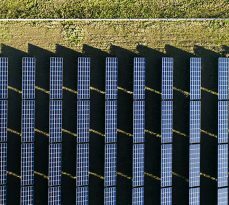 The R&D and new investment space, especially in the electricity sector, is shifting radically to low carbon and this trend is only set to grow, creating opportunities around wind and solar energy, demand reduction, and electrical energy storage. EU targets alone for 2030 promise electricity systems dominated by renewables and nuclear. Countries like Japan and the US are at the forefront of developing new products and ideas which will naturally cascade to developing countries. China is committed to a low carbon future and, across the world, local air pollution issues in major cities (such as London) are likely to support a transition to electric vehicles. With developing countries set to avoid reaching fossil fuel maturity and leapfrog to low carbon, one Cambridge MBA alumnus and his colleagues are poised to get involved in this space with start-up Cambridge Energy Partners, which offers the world’s first fully movable solar product that tracks the sun. This flexible, re-deployable system is made in a factory and shipped to site, where it is easy to install and cost effective to move with changing requirements. The product’s modularity means it can be used effectively in smaller entities like hospitals and schools as well as large scale industries, even cities. The partners are putting the finishing touches to their prototype and moving into the proof of concept stage in May. Gunnar worked for a large German energy company for seven years specialising in offshore wind before taking his MBA. He came to Cambridge with an idea for a start-up but found the Cambridge MBA invaluable in honing and developing his plans – especially the Energy and Environment Concentration, which broadened his knowledge across the renewables industry. The Global Consulting Project then gave him the chance to delve deeper by taking part in a project (with four other MBAs) with a Swiss investment firm looking to move into investing in offshore wind. A summer internship followed with the same Swiss company and then Gunnar returned to Germany to work for his former company while setting up CLIFI. With climate change and the low carbon future here to stay, this is one sector where the opportunities look set to keep on coming.